CLUB RIOとは? 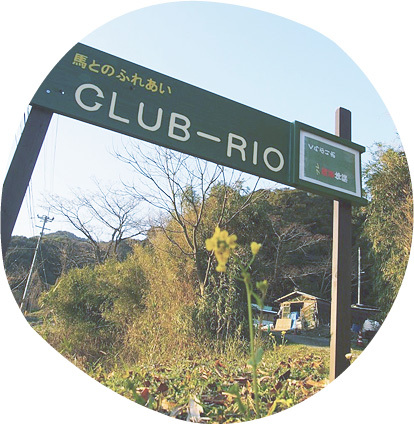 About CLUB RIO | CLUB RIO - 馬と人の居場所。A playground for both horses and people. Attracted by the lifestyle of living with horses, CLUB RIO was established in the winter of 2008, in Kohoku town in the Saga Prefecture. I'd loved horses since I was a young boy, visiting Ireland at the age of 19. The carefree lifestyle of horses, and the coexistence of horses and people left an impression on me. This culture shock was a starting point. Horses and people can be connected through "mind and heart". This mysterious force is something invaluable. In the future I hope we can create a place for horses to spend their remaining years, surrounded by the beautiful nature here in Kohoku. At CLUB RIO, while keeping focus on the horses, we try to exploit the possibilities of the horse in modern society, finding new ways for horses and people to correlate. Ryota was fascinated by horses since being in middle school. After graduating he started working with racehorses. 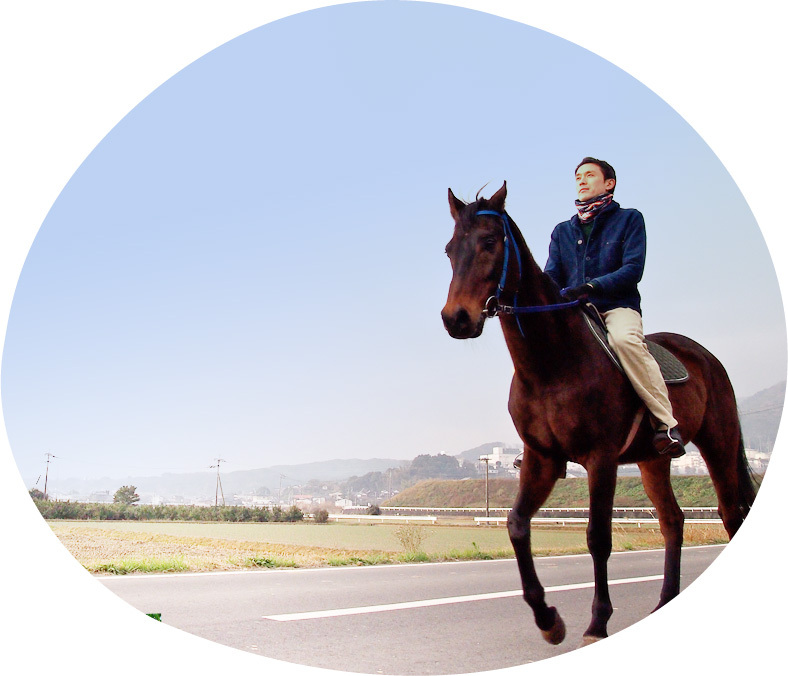 In year 2000 he went for a short-term stay in Ireland, studying authentic racehorse training. 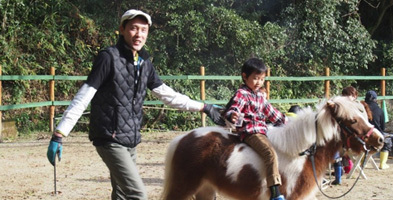 In 2008 he realized his dream of living with horses while working as a company employee. 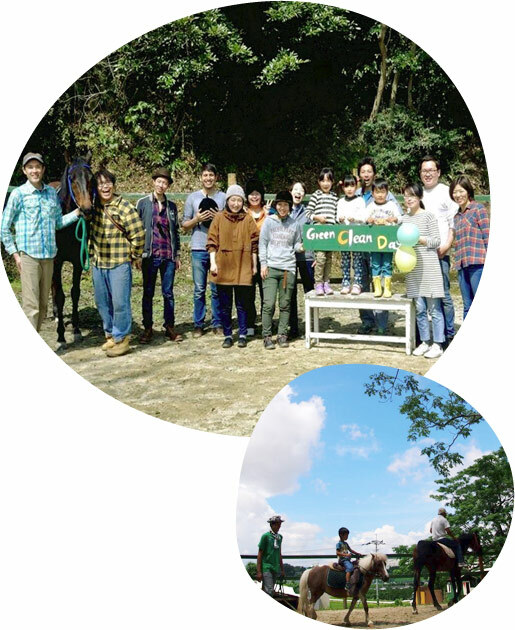 As the representative of CLUB RIO, Ryota is currently conducting activities while exploring the possibilities of horses and people. a small mare of unknown origin. Brimming with curiosity, but also a little mischievous. She loves playing with children and eating carrots. A former race horse who spends his retirement living a carefree life at Club Rio. Diligent and earnest, he knows and understands his people well. His specialty being cuddling up to people. HOLY was about to be sold by auction for meat in 2016, but had an opportunity to become a member of RIO family. He is quiet, funny and so gentle, like an old gentleman! In honor of our friends and supporters who help run the activities at CLUB RIO, we have named them "Greens ". Creating fun workshops and events, focusing on Max, Juju and their surroundings. We aim to create a small community, centered around horses, nature and people. If you wish to lend a hand, Club Rio is also recruiting new supporters and fans! Copyright © 2019 CLUB RIO All Rights Reserved.